It always amazes me the amount of planning and preparation involved in organising a wedding. It is all in the details - or so I am told. Being in the bridal industry myself, I often hear about wedding plans from the brides as I am creating their perfect custom Wedding dress. What an overwhelming experience for them all. 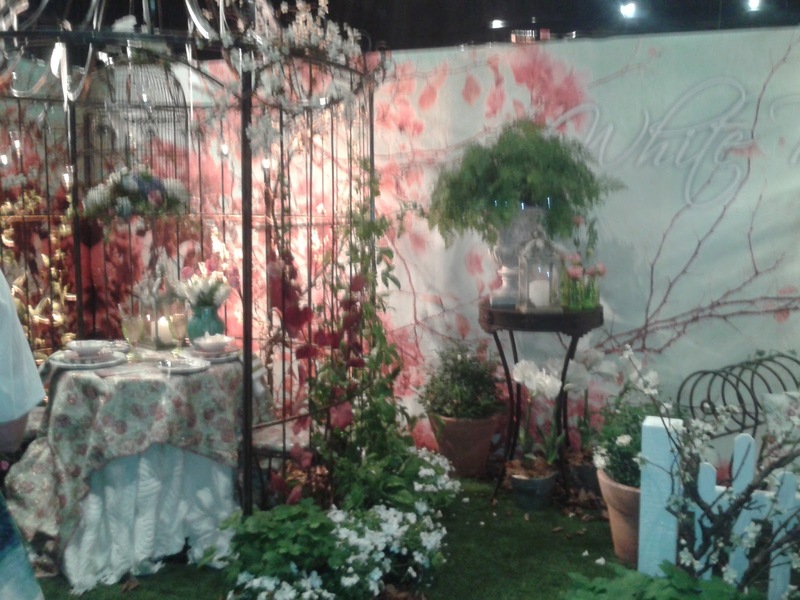 The Wellington Wedding Show is a stand alone event, which matures and blossoms each year. 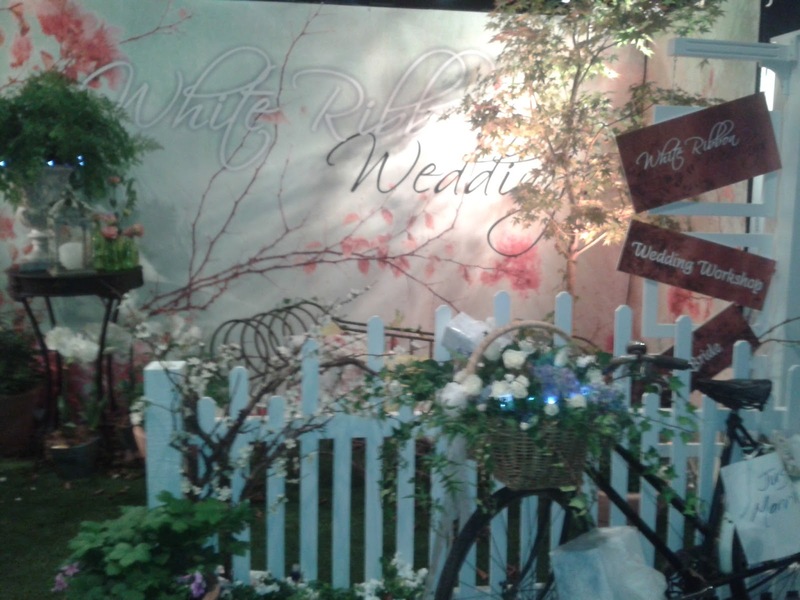 The stalls display a wide range of tips and packages from hair, makeup, manicures and honeymoons to venue decorations, cakes, on-site babysitters, and of course wedding dresses. There was even a dance floor and a photo booth in a vintage caravan! The event is well organised, and professional. All of the stalls have helpful assistants to give you information, in a friendly manner without making you feel poached or harassed. The stalls are exquisitely laid out, and show a unique take on their particular business. 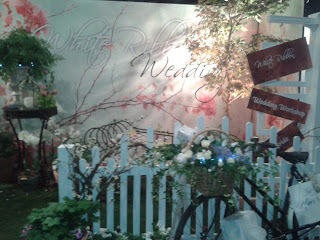 For me the stall that looked most impressive was called White Ribbon Weddings. The company focuses on the decorations at the event, as shown in the images below. Very impressive (but with a high price tag to match!). Another stall that caught my eye was for an idea for wedding favors. They are always tricky! It adds up quickly, and such a small token for the person to take away. This year, Unicef have launched a wedding inspired gift card for each table setting saying what has been donated on behalf of the Bride and Groom. The package deals include Polio vaccines, school supplies and mosquito nets to name a few. If you are going down this road, I would recommend a gift pack per table rather than per place settling as it would add up pretty quickly. 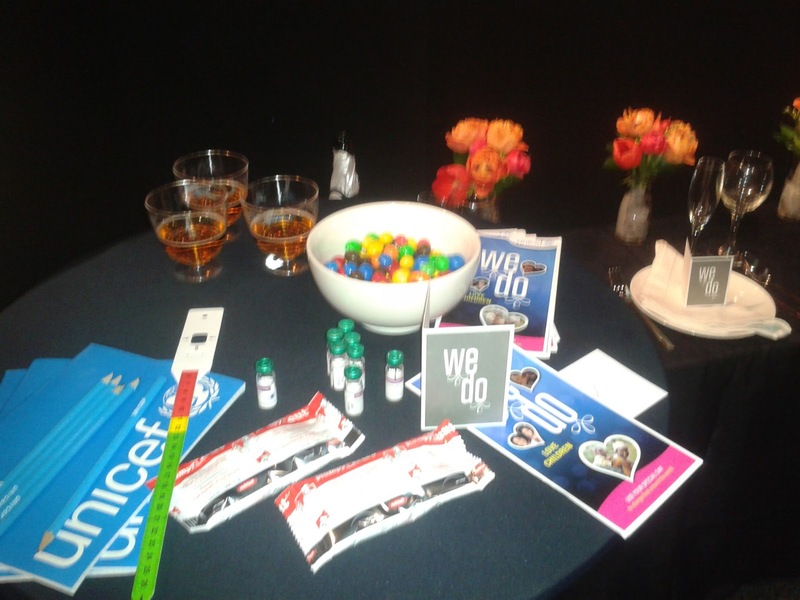 The Unicef wedding favors are called 'We Do', as shown below. 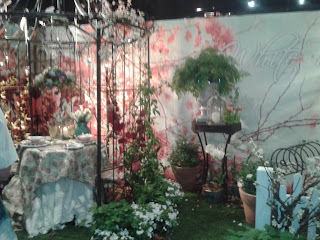 Overall, the Wellington Wedding Show was a huge success. If you are planning a wedding it is a good place to start for an overview of how it all works. The entry fee for an adult is $18, which I think is well worth it.